There’s tons of freebies out there right now and it’s hard to keep up with all of them, especially with all the grid wide hunts going on. 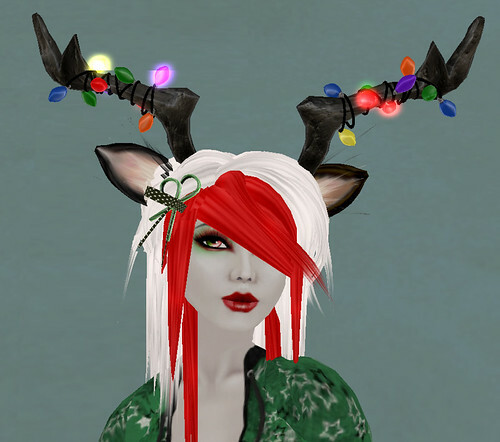 But here’s a freebie that totally caught my eye, this absolutely adorable hair, antler and ear set from Eat Rice. It’s in the subscribe-o-matic as well as available on the wall in the shop. Yay for kyoot hair! This entry was posted in Fashion, Pictures and tagged Eat Rice, Freebie. Bookmark the permalink. Do you like my ponytail?